GATWICK, UK, 2018-Nov-09 — /Travel PR News/ — Gatwick today (05/11/2018) announced the latest round of Gatwick Foundation Fund grants to seven projects across Surrey that support young people, the elderly or vulnerable and disadvantaged groups. The Fund distributes a total of £300,000 in grants with the funding split evenly between projects in Sussex, Surrey and Kent, with each receiving £100,000 each year. To date, 118 organisations and more than 55,000 people have benefited since it was launched late in 2016. Community Fridges, Dorking – shares surplus supermarket food among people who may be experiencing food poverty, helping them connect with their community, access nutritious food and save money. Grant is to open five more ‘Fridges’ in Mole Valley, targeting areas most in need, including areas in Leatherhead and Bookham. Age UK Surrey – promotes the wellbeing of people over the age of 50 across Surrey.Grant will contribute to the salary of a member of staff from the Counselling Service who supports people with emotional difficulties including depression, loneliness, long-term illness, relationship problems and trauma. 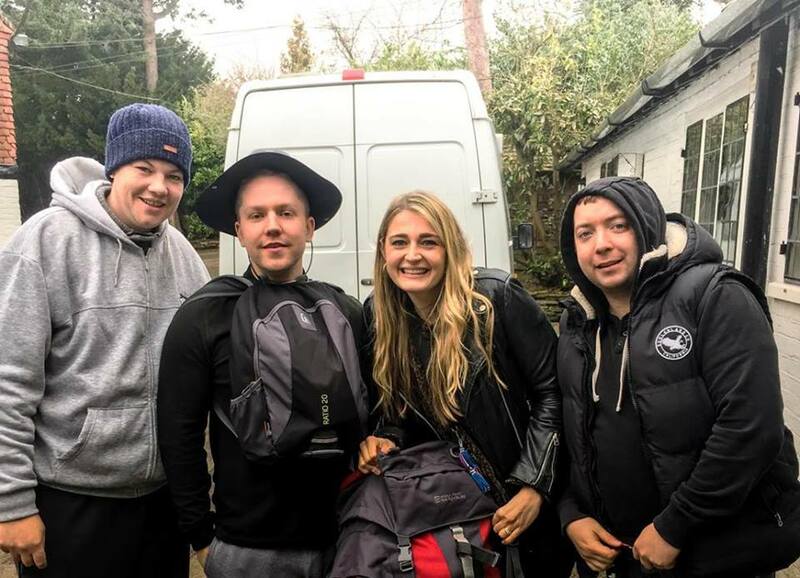 Amber Foundation, Ockley – provides help to homeless, unemployed young people, supporting them to gain the motivation, confidence and skills they need to gain and sustain employment and accommodation. The grant will be used to support the salary costs for one of three Team Leaders, who run the programme. Claridge House, Lingfield – is offering midweek overnight breaks for adult carers and the grant will allow unpaid adult carers in Surrey to take some quality time for themselves, in the peaceful surroundings of Claridge House, while Crossroads Carers looks after the person they usually care for. Home-Start East Surrey, Redhill, Reigate, Horley, Tandridge and Dorking – provides free confidential support to families with young children, who may be experiencing problems including family breakdown, ill health or disablement of parents or children and mental health problems. Grant will support staff costs. SeeAbility, Epsom – supports people with a combination of complex needs such as severe learning disabilities, dual sensory loss, autism, cerebral palsy, epilepsy, physical and mental health difficulties. The funding will pay for specialist equipment for people with sight loss and other complex disabilities. Young Epilepsy, Lingfield – provides support for approx. 200 children and young people with Epilepsy. The charity’s Surrey campus provides specialist education and care and the funding will help provide specialised flooring for a new wheelchair accessible playground that the charity wants to install. Gatwick’s Foundation Fund is part of the airport’s commitment to share the benefits the airport generates with its local communities. This work remains a priority and the proposals set out in Gatwick’s new draft master plan would see the airport generating even greater benefits for future generations. “We are delighted to be awarding another round of grants from our Foundation Fund to community projects across Sussex. Each organisation does incredible work and we have purposely chosen them as they help young people, vulnerable families or the elderly. Kent, Surrey and Sussex Community Foundations manage the programme and assess all applications for their county. These local trusts and foundations raise funds for and make grants to local charities and community groups, and also manage grant funds on behalf of a wide range of donors, including companies, charities and private individuals. To find out how to apply to the Gatwick Foundation Fund, please contact your local Community Foundation. Gatwick’s 2018 draft master plan sets out proposals for the airport’s ongoing development and sustainable growth. It also outlines the airport’s latest thinking on how it can meet the increasing demand for air travel and provide Britain with enhanced global connectivity. A public consultation will run on the draft master plan until 10 January 2019 and will help inform the publication of the final master plan next year. Gatwick Airport is the UK’s second largest airport. It serves more than 228 destinations in 74 countries for 45 million passengers a year on short and long-haul point-to-point services. It is also a major economic driver and generates around 85,000 jobs nationally, with 24,000 of these located on the airport. The airport is south of Central London with excellent public transport links, including the Gatwick Express, and is part of the Oyster contactless payment network. Gatwick Airport is owned by a group of international investment funds, of which Global Infrastructure Partners is the largest shareholder. This entry was posted in Airports, Business, Travel, Travel Services, Travelers and tagged charity, Community, Foundation Fund, funds, Gatwick, grants, Jane Short, Melanie Wrightson, Miriam Oppenheim, Philippa Wilford, projects, Surrey. Bookmark the permalink.